Ready to run? While the first half of 2016 is over, every runner knows race season lasts all year round. Whether you prefer to run/walk a 5K or have spent hours training for a half or full marathon, we compiled a list of our nine favorite races for all ages and fitness levels. 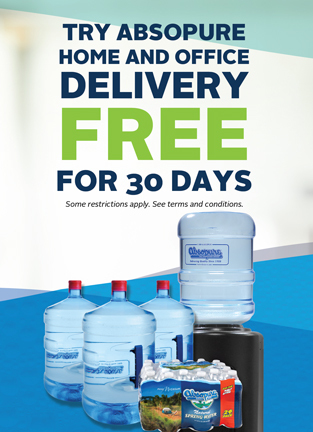 We’ll meet you at the finish line with an ice-cold bottle of Absopure! As the Official Bottled Water Sponsor of RAM Racing, we’re thrilled to support the BTN Big 10K, in its new Grant Park location! Wear your favorite Big Ten team gear to compete for your favorite team in the 10K and 5K run/walk. Head over to the post-race Fan Fest and Tailgate party, full of food, beer, games, mascots, former Big Ten players and more! 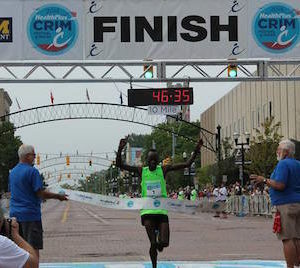 Race through the streets of downtown Flint! 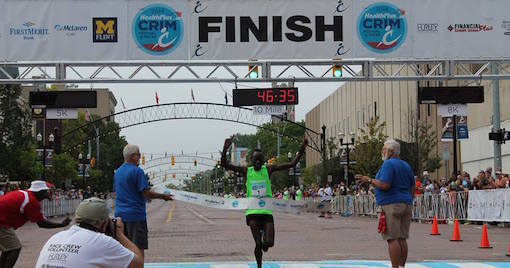 Whether you prefer to run or walk, the CRIM Festival of Races includes several events with varying degrees of difficulty so people of all ages and fitness levels can enjoy the fun. The race aims to change the overall health of the nation’s communities, which is why we’re proud to sponsor this event. Craving your 15-minutes (or 3.1 miles!) of fame? Throw on your finest frocks and lace up your running shoes for the hottest, star-studded race of the season. This 5k run/walk has it all: rocking music, champagne, fun and glamour! The paparazzi will be on site to capture your best angles, so smile and strike a pose! Visit Running Fit’s website to learn about their other run races and events. Similar to us, the Brooksie Way is dedicated to helping community members adopt healthy and active lifestyles. Whether you’re participating in the half marathon, 10K, 5K or fun run, proceeds from your contributions are used to support programs in Oakland County that encourage people to be more physically active. As the Official Water Sponsor of the Brooksie Way, we’re proud to sponsor this wellness-focused race. The MO’ Cowbell Marathon aims to breathe vitality into the St. Charles community. Runners and walkers join together to participate in the marathon, half marathon, half marathon relay and 5K, making this the perfect race for people of all fitness levels. Don’t forget to ring the 100-pound cowbell at the finish line! Runners from all over the world flock to Detroit to participate in the motor city’s most exciting and unique marathon. The marathon crosses international borders into Canada and takes runners back to the United States through the Detroit-Windsor Tunnel. While the intense marathon is a qualifying race for the Boston Marathon, there are additional events to cater to every fitness level including the international and national half marathon, 5K, marathon relay, disabilities division and kids run. Be sure to register as soon as possible, because each event sells out every year! Halloween lovers are in for a spooktacular treat! Whether you’re competing for fun, prizes or pumpkin pies, the St. Louis Halloween Race is a delight for runners of all ages and levels of ability. Be sure to wear your favorite costume, too! As a proud sponsor of GO! 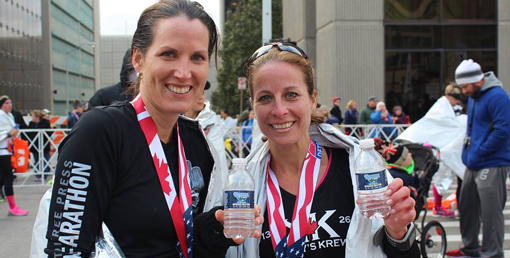 St. Louis, we’re honored to provide water at this race. Runners in the Chicago and St. Louis communities can participate in the sweetest race of the season! Established in 2008, the Hot Chocolate 15K/5K is the fastest growing race in the nation, with over 200,000 runners! Before you head to the post-race party and indulge in hot chocolate, be sure to quench your thirst with a bottle of Absopure. The Turkey Trot is one of the most beloved races in Detroit! The 10K race takes you on a course around downtown Detroit as onlookers for the America’s Thanksgiving Parade® presented by Art Van cheer you on! If something shorter than a 10K is more your speed, consider signing up for the 5K Stuffing Strut or Blue Cross Blue Shield of Michigan Mashed Potato Mile. Stick around after the race to watch The Parade on the big screen in the warmth and comfort of the Cobo Atrium. Which race are you most excited to run this year? Tell us which ones you’ll be participating in!